Autumn at Hidden Bench was marvellous in this last week - the third week of October, 2010. 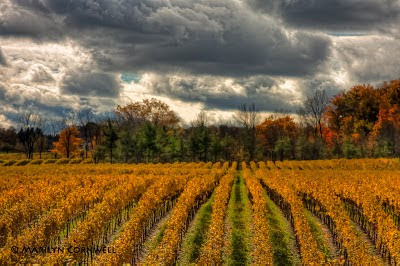 The storm clouds were moving across the horizon to the south of the vineyards, with the full sun shining on the golden foliage. The signature Hidden Bench label. 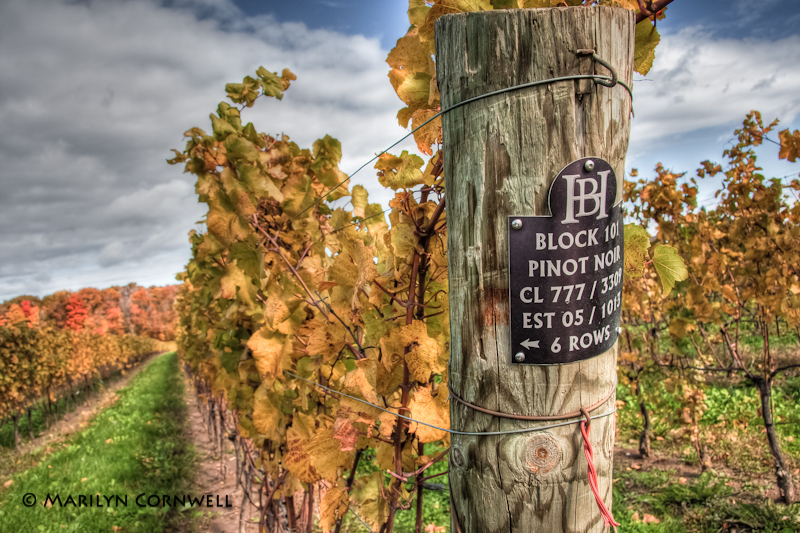 Do you have a favourite Niagara Vineyard with a few? Let me know where you've found wonderful vistas and rolling hills!